What is SVC Rave Alert? Skagit Valley College has teamed up with Rave for SVC's official emergency notification system. 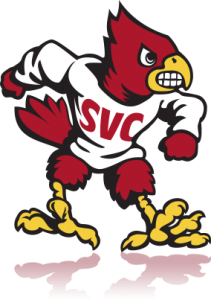 The SVC Rave Alert system will be used to communicate with students and employees in the event of a college emergency or weather-related delay or closure. Among its many features, the Rave Alert system can send email and text notifications directly to your mobile phone. SVC and MySVC email addresses are automatically subscribed to the Rave Alert System. Log on to www.getrave.com to update your profile. We highly encourage you to add your mobile phone. Note: If you have already entered your mobile number in our previous "MySVC Alerts System," all you have to do is log in and confirm your mobile number. If you have never entered your mobile number, you will not receive text alerts on your cell phone. YES! I'm ready to login, update my user profile, and confirm or add my mobile number! Important: In order to receive messages sent to a specific campus and center locations, you must join a group(s). On the next screen, in the right column, click on the name of the campus or center you want to join. On the next screen, under the grey Actions section, click on Join, which is next to Group status. You can then go back and follow the same steps to join other groups that you wish to receive alerts for. That's it! You’re all set to receive SVC Rave Alerts in the event of an emergency situation or weather-related delay or closure. You cannot opt out of emergency messages delivered to your SVC-issued email address. However, you can unsubscribe your mobile phone and personal email address(es) by logging into the system and deleting them. You may also stop messages directly through your phone by texting the word STOP to 67283.
Who may use the SVC Rave Alert system? Our Rave Alert system is only intended for SVC employees and students. However, students may add a parent's mobile phone or email address within their Rave profile. Emergencies are considered any event that poses a safety risk to the campus community. For example, the most common use of Rave Alert will be to communicate when the college is delayed or closed due to inclement weather. Other types of emergencies may include unexpected occurrences such as earthquakes or power outages, or any unexpected event that poses danger or a threat. How will I identify incoming messages from SVC's Rave Alert system? Text messages: Text messages sent from SVC Rave Alert are sent using something called short codes. When you receive a text via a short code, you'll receive a message from either 67283 or 226787. We strongly encourage you to save this number in your phone address book after you receive your first message. This way, in future emergencies, the message will be more recognizable as an official communication from the college. If your carrier or phone does not support short code messaging, messages you receive will appear to come from skagit@getrave.com. Email messages: Email messages sent from Rave Alert will be sent from the email address: skagit@getrave.com. Please be sure this email address is not blacklisted or blocked by your email providers. If you have never attended SVC before and have received an emergency alert from our system, it's likely that your phone number was previously used by someone affiliated with SVC who used this system. You may opt out of receiving these text messages by texting the word STOP to 67283. These instructions should also be included in the text of every message you receive. I'm a parent of a SVC student. May I subscribe to Rave Alert? No, you can't subscribe directly, however your student has the option to include additional contact numbers and email addresses in their Rave profile. You can ask your student to add your contact information to their Rave profile on your behalf. If you change your mobile number, please log in to the system and update your contact details. If you've changed providers, but your number hasn't changed, you may want to update your carrier information in your subscription settings as well. This step is not required. It will eventually be updated by the mobile carrier in Rave Alert, but this update may take a few weeks to reflect in the system. To ensure you do not miss any emergency messages, you may also simply log in to the system and update your carrier information in your settings directly. What other ways can I stay informed about emergencies at SVC? Be sure to visit our Emergency Preparedness web page to identify other ways to stay informed, including the college website, weather hotline, Facebook and Twitter.